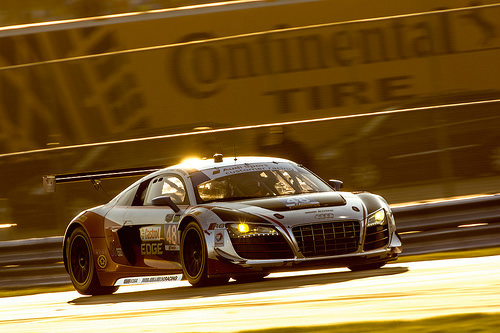 Prior to the 2009 season, Audi introduced the GT3 version of the production Audi R8 road car, which was designated the R8 LMS sports car racer. 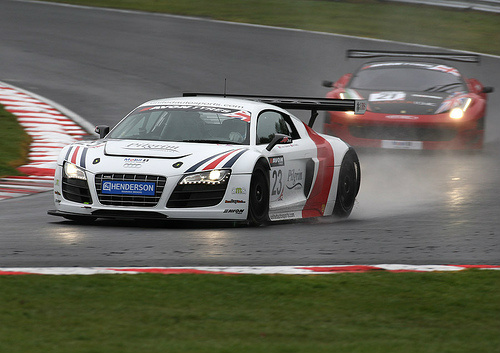 In order to comply with the rules of the FIA GT3 European Championship which excluded the use of four wheel drive, the new racer was fitted with a rear wheel drive setup. It was powered by an aluminium, mid-engined, 5.2 litre, 40 valve, DOHC, V10 unit, linked to a six speed paddle shift sequential sports gearbox, and developed 570 bhp. With body panels of carbon fibre and aluminium on an aluminium spaceframe chassis, it had a curb weight of 1,250 kg. Using rear wheel drive, it had power assisted steering, with vented ceramic disc brakes all round and linked to ABS. 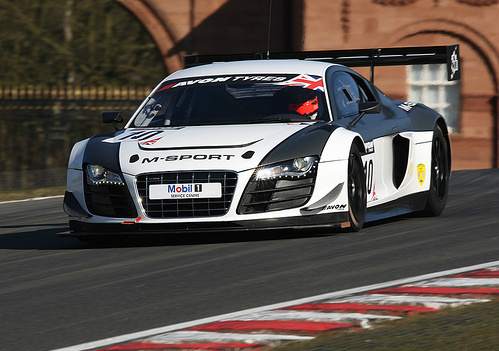 It incorporated a front splitter and a large rear wing. 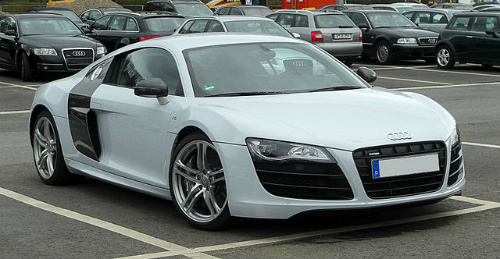 Priced at around $350,000, it was made available on a limited basis to customers in 2009. 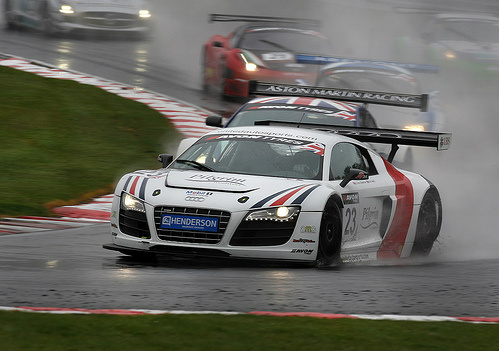 In 2010, the Audi R8 LMS Evolution sports car variant was introduced with a more powerful engine, improved engine cooling and suspension, revised electronics, and a larger rear wing. 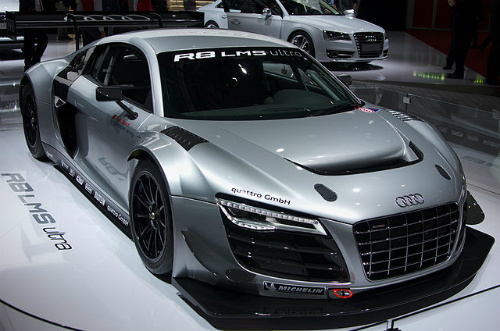 It produced a top speed of 195 mph, with 0-60 mph in 3.6 secs. 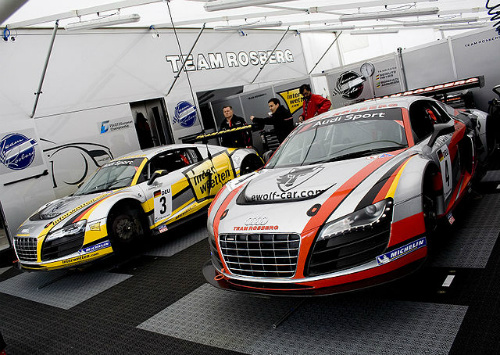 This racer secured an outright win in the prestigious Nurburgring 24 Hour race.